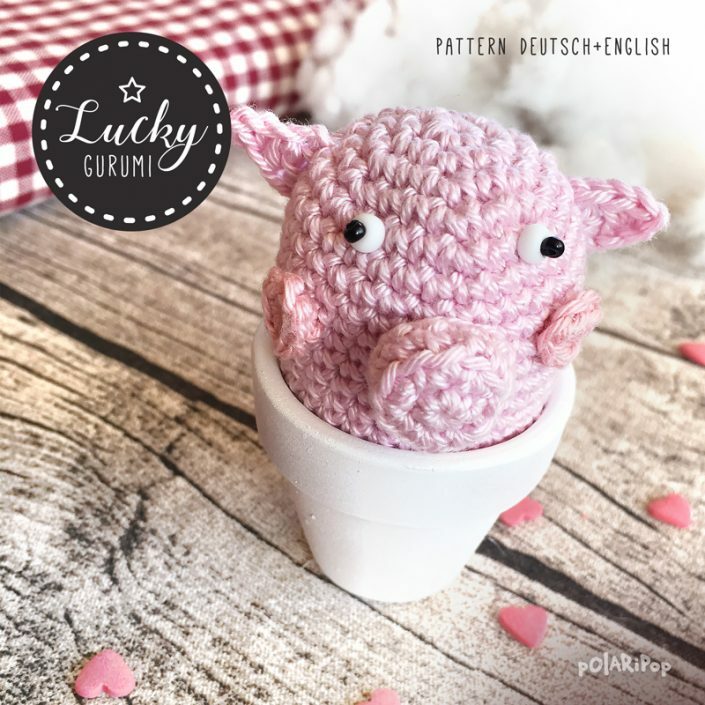 In the following pattern I will show you how to crochet this cute lucky charm. 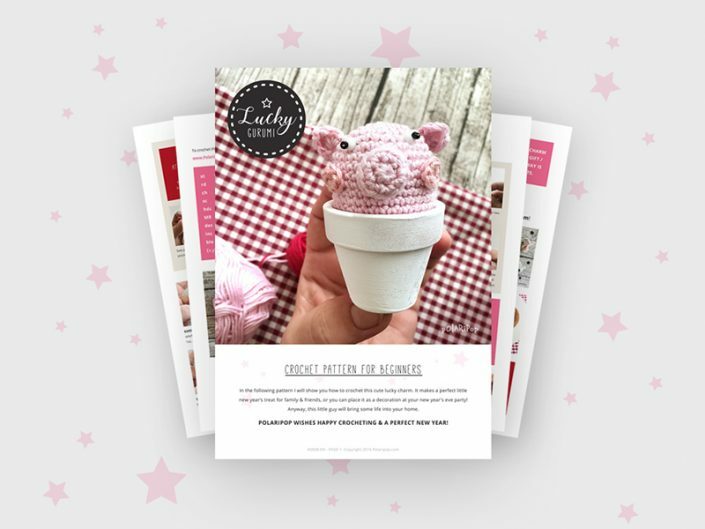 It makes a perfect little new year’s treat for family & friends, or you can place it as a decoration at your new year’s eve party! Anyway, this little guy will bring some life into your home. 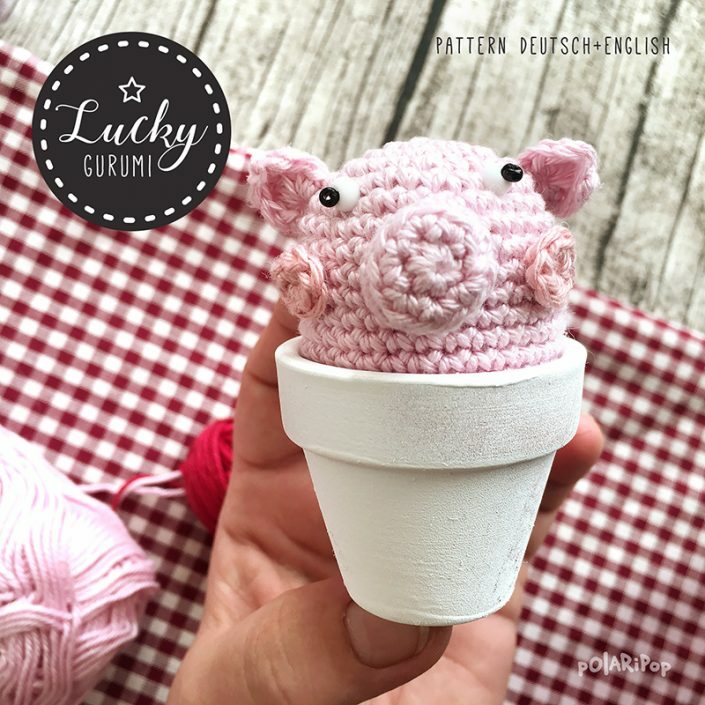 Made with cotton material 2,5 – 3,5 mm and a crochet hook 2,5 mm your character will have a size of appr. 8 cm (including the flowerpot). 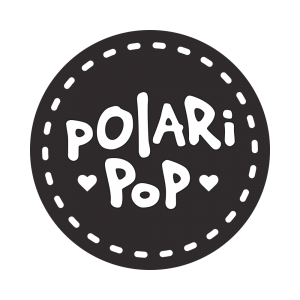 POLARIPOP WISHES HAPPY HOOKING & A WONDERFUL NEW YEAR!